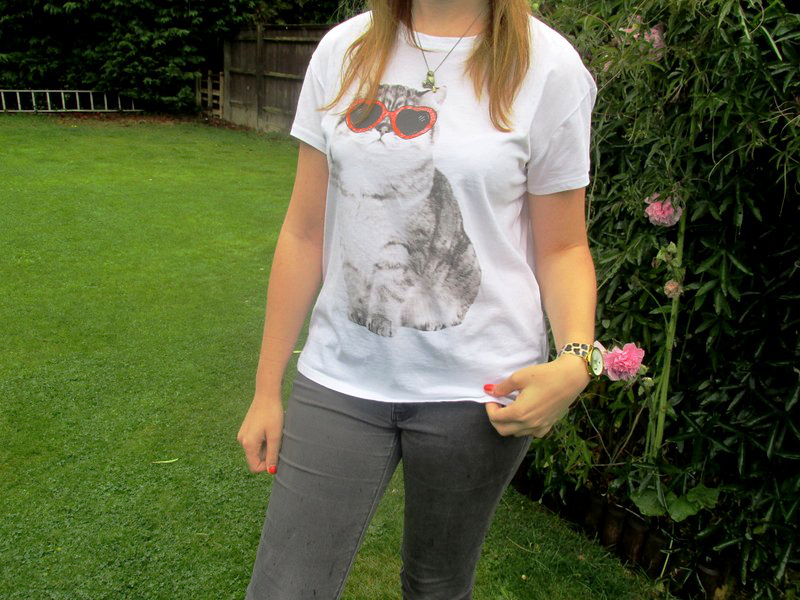 As you may or may not know, I really love cats. I also love clothes and accessories, so what's better than the two combined in one post?! 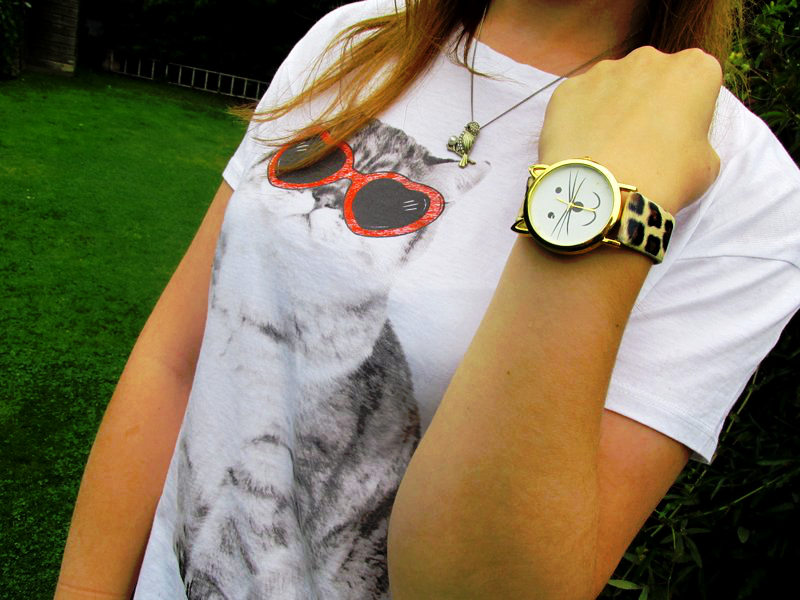 Although my brother cringes every time I step out in this top or with this watch wrapped around my wrist, I absolutely adore them! In my eyes, you can never own too many cat-related things. I recently picked up this t-shirt from the M&S sale, and managed to wangle a bit more money off because it had what looked like red biro on the back (which came out in the wash). 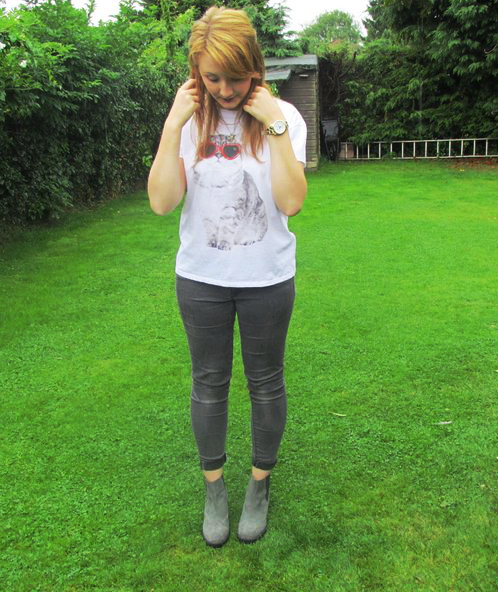 It's a great, comfy tee for everyday wear- I think my friends would disown me if I wore this on a night out! This beautiful watch was a little bagain I snapped up from Amazon for just over a quid after my wonderful friend Ellen pointed me in its direction. They come in a few different colours, but I picked up this brilliantly feline leopard print one and another with a simple white strap. Meow! 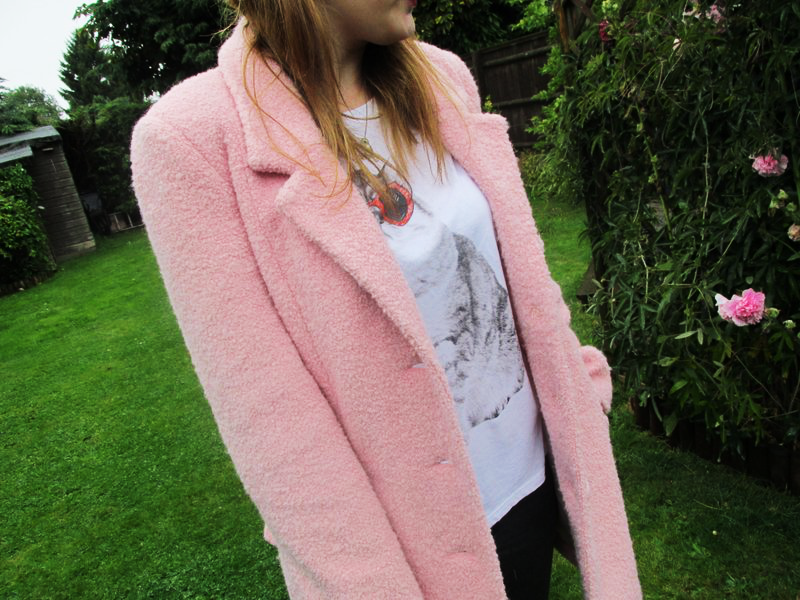 With the awful rainy weather which we have been incurring recently, I teamed the funky cat in sunglasses with some Zara skinny jeans, this gorgeous baby pink coat and a pair of chunky Primark chelsea boots. I went a bit coat-crazy last winter, with this pretty piece being one of my staples. It's so warm, cosy and cute at the same time...I love it! 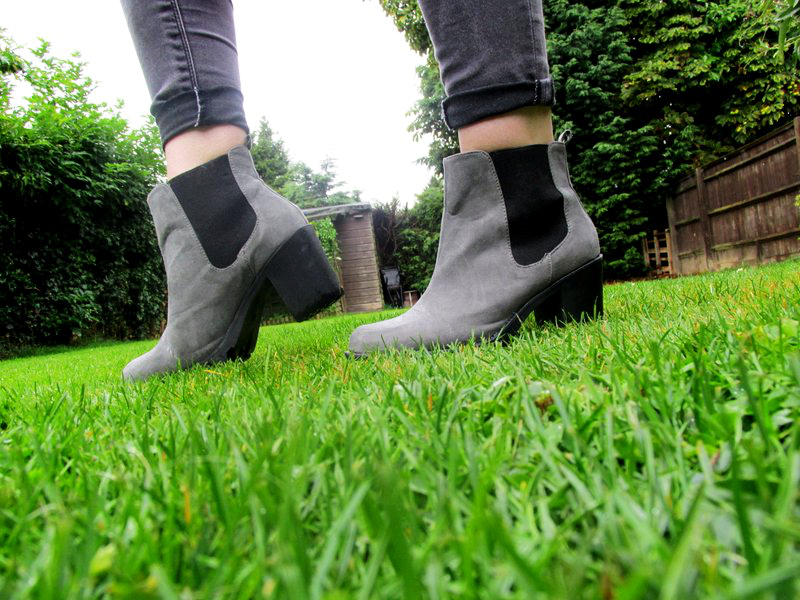 These boots were also a fab buy from a while back, and I can't believe just how comfy and easy to wear they are, being from Primark and all.